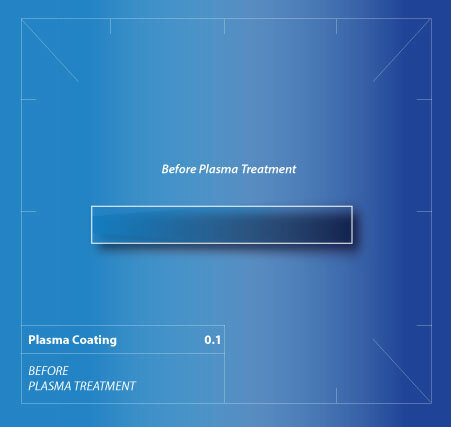 Hydrophobic plasma coatings are a sub-category of plasma surface functionalisation, the specific precursor being chosen to produce a permanent, low surface energy layer on the material or part being treated. The hydrophobic surface is typically less than 1/100th thickness of a human hair, colourless, odourless and doesn’t affect the look or feel of the material in any way. Permanent hydrophobic surfaces are rapidly finding new applications all the time. Liquid repellent coatings currently enhance products in the textile, medical device, opthalmic and consumer electronics industries to name but a few. 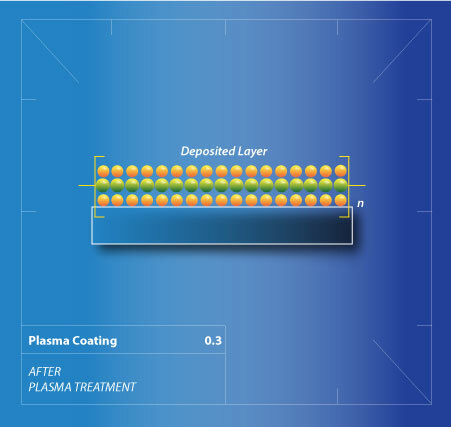 In plasma coating a nano-scale polymer layer is formed over the entire surface area of an object placed in the plasma. The coating process takes just a few minutes. The coating produced is typically less than 1/100th thickness of a human hair, colourless, odourless and doesn’t effect the look or feel of the material in any way. It is a permanent coating too, being bound to the material surface on an atomic scale. 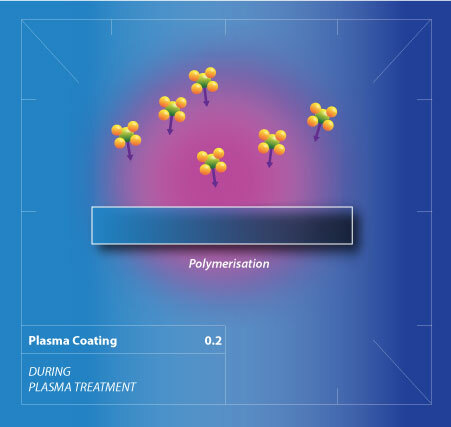 Specific treatments render surfaces totally water repellent to water, solvents and oils as shown below in the example of cotton that has been plasma coated.